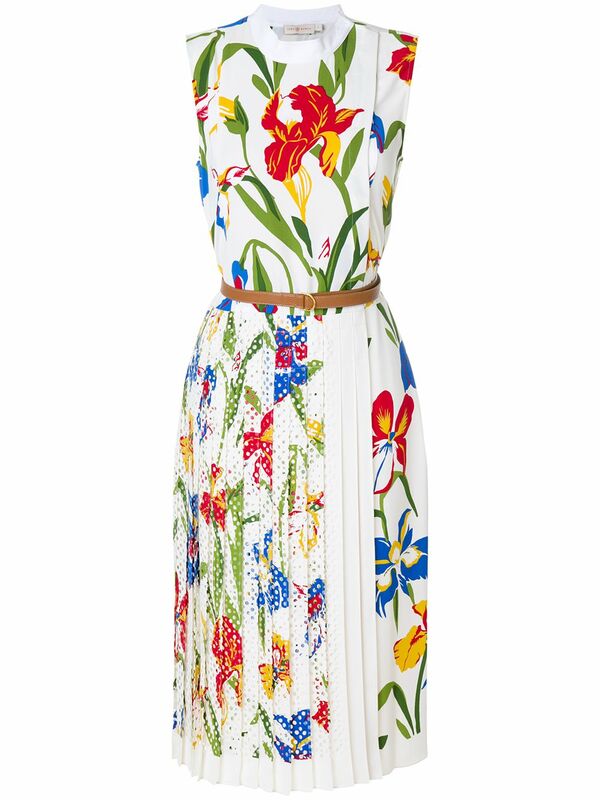 Tory Burch floral print shift dress in White Fashion Sale | Shop sales online with Fast Delivery! Burch’s style has been described as being the ultimate in easy, understated chic and is associated with her signature T-logo medallion. Her designs are known for being fashionable yet versatile, and are popular with women of all ages. This multicolour floral print shift dress is crafted from cotton and features a round neck, a wrap style front, a sleeveless design, a floral print, pleated details and a mid-length.